One of my apiary sites is in a nature reserve on a small raised bog in Kildare. The clover and blackberry are in full bloom all around the fringes there so I expected to find the bees with brown or grey pollen loads. 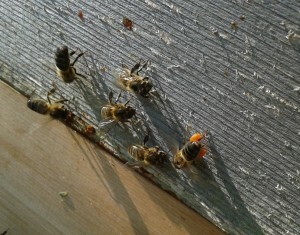 However, I was surprised to find them bringing in a lot of vivid orange pollen and no, that’s not propolis. Of course I’d come out without my camera so had to make do with my phone and these pictures don’t do the colour justice. Click photos to enlarge. When I consult the relevant pages of IBRA’s: ‘Colour Guide to the Pollen Loads of the Honey Bee’ by William Kirk, the only one I can find which is both close in colour and available in quantity at that site, is Poplar leaf rust fungus aka Melampspora larci-populina! If you google that, you’ll find some images of the rust on its host species and you can imagine it packed into honey bee corbiculae. Click here for a particularly good photo of Melampspora larci-poplulina on Hybrid Poplar. 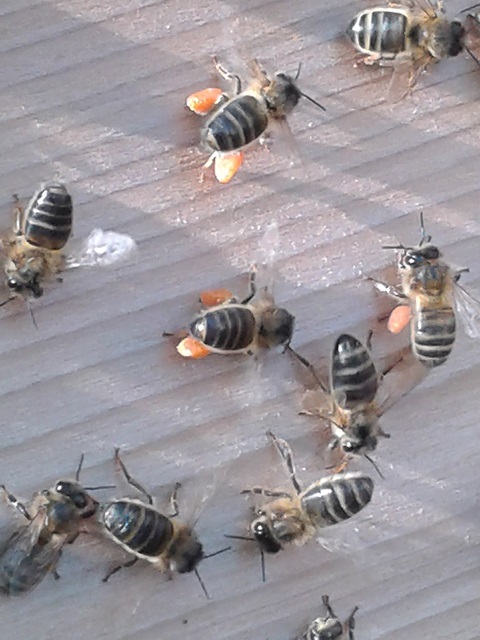 It seems that the bees will indeed gather rust spores in times when pollen is in short supply. 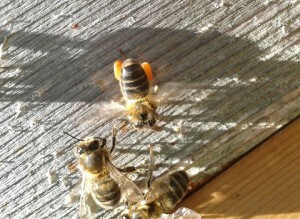 As the bees visit poplars to gather propolis you’d have to wonder if they help in the spread of this fungus? I am a microscopist in London. I recently was given bee gut samples to image. 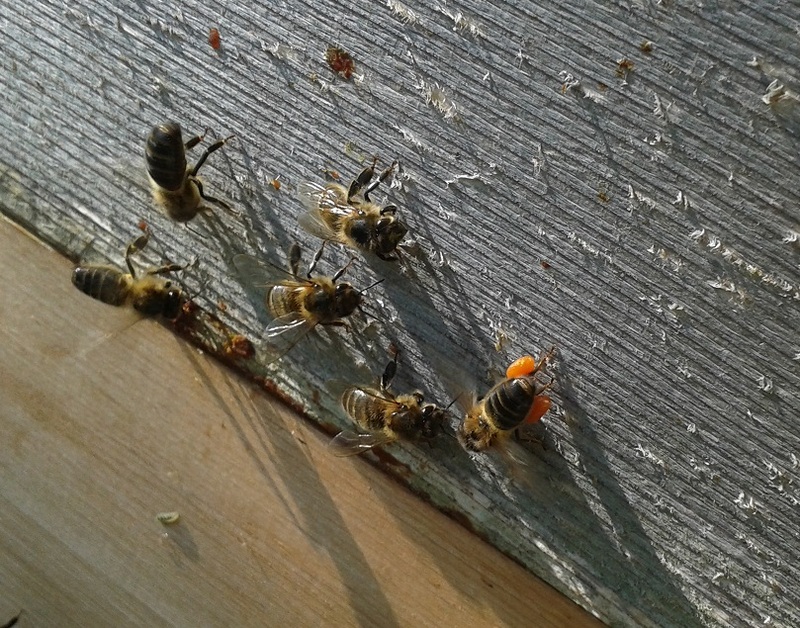 we find in some bees a small structure that we can not agree what it is yet. it is either a parasite or a rust spore of some sort. I wondered if you could send me some of this rust ‘pollen’ next season to analyse for comparison? By all means – if they do it again this year I will get some for you. I’d love to see the images of the ‘small structure’ – is there a link to them?